On July 29/2015, on his interview with VOA (Voice of America Amharic service), Dr.Tewoedros Adhanom, foreign minister of Ethiopia has confirmed Ethiopian main opposition leader Prof.Birhanu Nega Joins his armed comrades in Eritrea. On his interview he mentioned ''ይሄው ግንቦት ሰባት ብርሃኑ ነጋ አስመራ ገባ ተባለ እሺ ገባ...'' '' It was said that Ginbot 7 leader Birhanu Nega has entered Asmara, ok it was mentioned he has entered (Asmara)...'' Dr. Tewodros Adhanom. 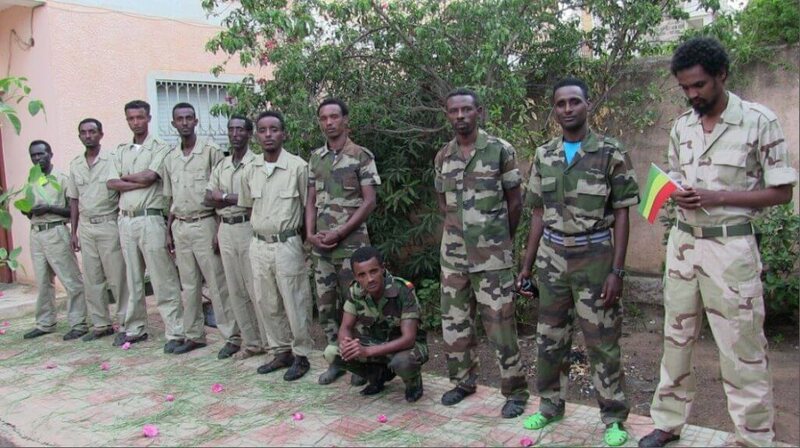 It was recalled that ''Patriotic Ginbot 7'' has already launched new offensive against TPLF regime from the norther part of Tigray and Gonder provinces of Ethiopia. According to reliable sources the fighting is still continuing. The regime is sending more troops to these particular areas. To read more about Prof.Birhanu Nega joins his armed comrades, please click here. በመሆኑም ኢትዮጵያን እንደ ሀገር ለማስቀጠል እና ለመጪው ትውልድ ጎሰኘነት እና ድህነትን ላለማውረስ ኢትዮጵያዊነትን አስቀድሞ ለነፃነት ከመነሳት ባነሰ አንድም አማራጭ የለም።ኢትዮጵያ እንድትሆን የምንፈልገውን ለማግኘት በመፃፍ፣ጋዜጣ በማተም፣ለፍትሃዊ ምርጫ በመታገል የሚፈለገው ውጤትን ማግኘት አልተቻለም።ለእዚህ ዋነኛው ምክንያት ደግሞ ፍፁም የሆነ የጎጥ ስርዓት መሰረታዊ ባህሪ ምክንያት እና የባዕዳን በገንዘብ፣በምክር እና በሎጀስቲክ ሁሉ ከፍተኛ ድጋፍ ስለሚያገኝ ነው።በእዚህ ሁሉ ውስብስብ ዓለም ውስጥ ከእኛ በላይ ለእኛ ማን ሊቆም ይችላል? በፕሬዝዳንት ኦባማ የአንድ ቀን ቆይታ፣የፕሮቶኮሉን መዘባረቅ እና ከአየር መንገድ ጀምሮ የባለስልጣናቱ በአግባቡ ተሰልፎ ፕሬዝዳንቱን ከመጠበቅ ይልቅ አሰላፊ እንደሚፈልጉ ሕፃናት አቶ ኦባማን ለማየት ሲንጠራሩ ስመለከት የኢህአዴግ/ህወሓት ባለስልጣናት ዓለም አቀፍ ተሞክሮ ማነስ፣በራስ የመተማመን የሞራል ልዕልናቸው ሁሉ መውረዱ ብቻ ሳይሆን አሳፋሪ ሆኖ አግኝቼዋለሁ።ስነ-ስርዓት የሚባል ነገር የለም እንዴ? 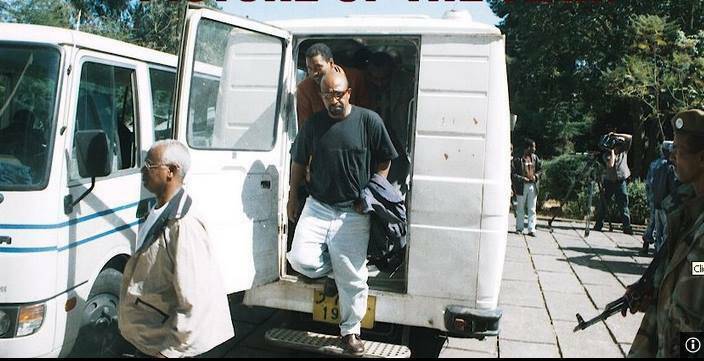 ከተመስገን ጋር ትንሽ ጊዜ ቆይተን በዚያው በዝዋይ የታሰሩ ሌሎች ጋዜጠኞችን ለመጠየቅ መጀመሪያ ተፈቅዶልን ስለነበረ ወደዚያ ስናመራ አንድ ሹም መሳይ መጥቶ ወታደሮቹን ለብቻ ለብቻ በስም እየጠራ በመንሾካሾክ ትእዛዝ ይሰጣል፤ እየተንሾካሾከ ለአንዱ ትእዛዝ ሰጥቶ ሌሎቹን እንዳናይ ከለከለንና ተመለስን፤ ምክንያቱን ብንጠይቅ በአንድ ጊዜ መጠየቅ የሚቻለው አንድ እስረኛ ብቻ ነው ተባልን፤ ቅን መንፈስ ለጎደለውና ለሙስና ለተጋለጠ አሠራር ጥሩ ምሳሌ ነው፤ በመንሾካሾክ የሚሰጠውም ትእዛዝ ዓላማው ያው ይመስላል፤ ወያኔ በሰዎች ላይ እንዲህ ያለ ጭካኔ ማሳየት የሚፈልገው ለምንድን ነው? 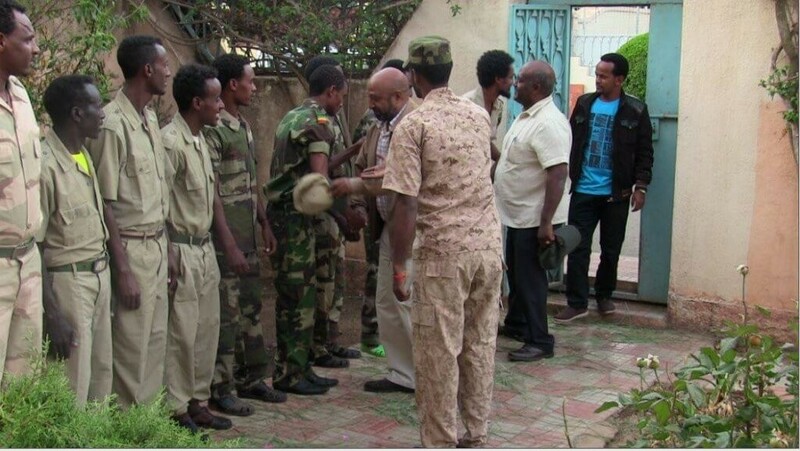 በዝዋይ እስር ቤት ትምህርትም እንደመድኃኒት የተጠላ ነገር ነው፤ ለተመስገንም ሆነ ለሌሎች መጻሕፍት አይገቡላቸውም፤ ለምን? 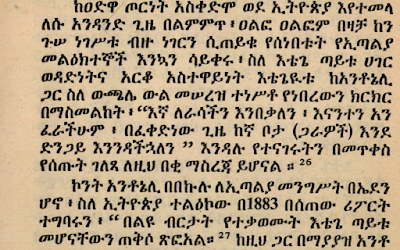 ብዬ ስጠይቅ አንዱ ጠባቂ ‹‹ለእውቀት የሚሆን መጽሐፍ ይገባል፤›› አለኝ፤ የእውቀትን ፍቺ ለመጠየቅ ስሞክር ቶሎ ግራ መጋባቱን አየሁና ተውሁት፤ እሱም እንዳያውቅ ስለሚፈልጉ፣ አለቆቹ የእውቀትን ፍቺ ጠበብና ቀለል አድርገው አስተምረውታል፤ ሎሌ ትእዛዝን በሹክሹክታ እየተቀበለ ማስፈጸም እንጂ፣ እውቀት አያስፈልገውም፤ እዚህ ላይ ምናልባት በደርግ ጊዜ በእስር ቤቶች የነበረውን የትምህርት መስፋፋት ማንሣት ይጠቅም ይሆናል፤ በደርግ ዘመን ብዙ የተማሩ ሰዎች ታስረው ስለነበረ እረስበርሳቸው እየተማማሩ አንዳንድ ሰዎች ጀርመንኛና ፈረንሳይና ቋንቋዎች፣ ግእዝና ታሪክ እየተማሩ ወጥተዋል፤ በተለይ በሁለተኛ ደረጃ መልቀቂያ ፈተና ወህኒ ቤቶች አንደኛ ሲወጡ እንደነበረ አስታውሳለሁ፤ ዛሬ በወህኒ ቤቶች ትምህርት ክልክል ነው፤ በቃሊቲ ሁለት የትምህርት ሙከራዎች ከሽፈውብናል፤ አንድ ጊዜ ኦሮምኛ ለመማር የፈለግን ሰዎች ተሰባስበን ተከልክለናል፤ ሕግ ለመማርም ጀምረን ታግደናል፤ እንዲሁም ጂምናስቲክ በቡድን መሥራት ክልክል ነበር፤ ማናቸውም እውቀት አደገኛ ነው! ታዲያ ማረሚያ ቤት የሚሉት ማንን ለማታለል ነው? ማረሚያ ቤት እንዲሆን በመጀመሪያ አሳሪዎቹ መታረም አለባቸው! 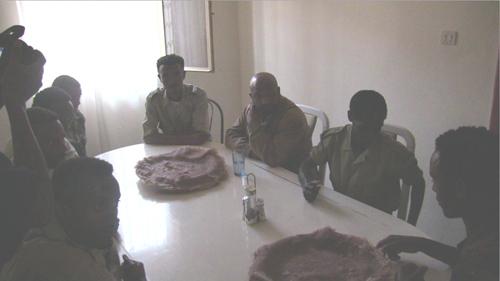 Ethiopian armed opposition group Patriotic-Ginbot 7 chair person Professor Birhanu Nega Joins his army comrades in Eritrea. 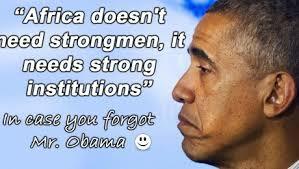 The Armed group has vast support both inland and abroad. 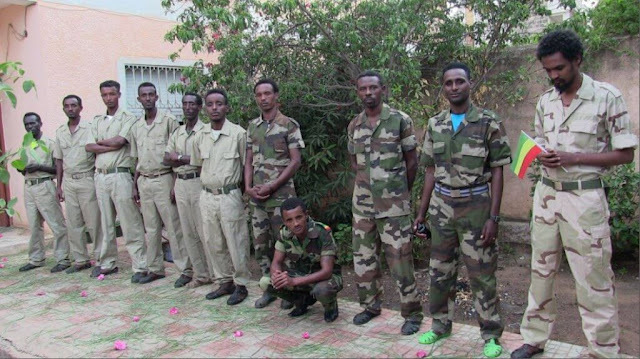 It is recalled that Washington based Ethiopian Satellite television- ESAT has disclosed armed struggle has already began last week in the northern part of Ethiopia near to Eritrea and Sudan border. 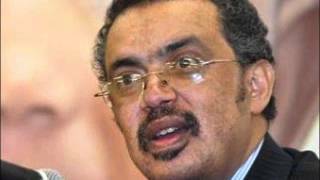 Many believe the situation will bring political change in Ethiopia plus good lesson to the West to adjust their policy towards the dictator ruling party of TPLF. 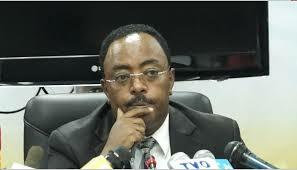 Otherwise the possibility to loose their long-aged relation ship with Ethiopian people will be very real. 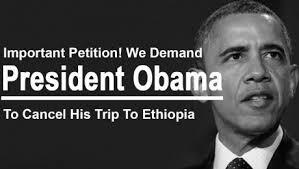 On the other hand, Horn of Africa political analysts and Human Rights organisations, are confused with Obama visit to Ethiopia next week. 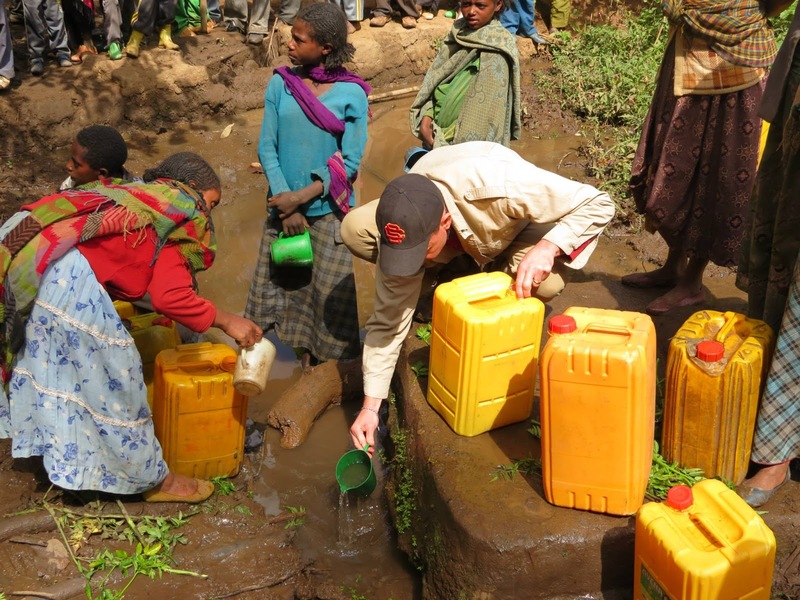 One analyst says President B.Obama visits to Ethiopia is nothing but it is a good indicator of American foreign policy's failed part regarding Ethiopia. 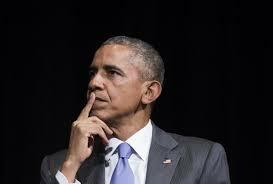 For your information, the hot news in Kenya, currently, is about President Obama's visit to Nairobi. But in Addis Ababa the situation is vis-versa. 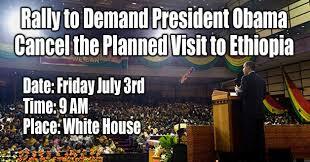 Many Ethiopians believe and agree as President Obama's visit is to show his solidarity with ''African-North Korean'' minority ethnic-based group TPLF which declared as if it won 100% of the last May,2015 election. Therefore confirmed information forwarded from the ancient land-Ethiopia is that the hot news in the whole nation is not President Obama's visit to Addis.It is the beginning of fierce fighting in the norther part of Ethiopia between Patriotic-Ginbot 7 army and TPLF. 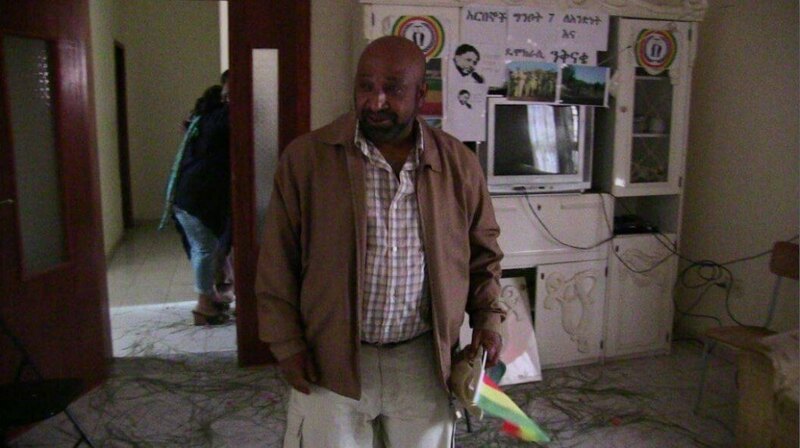 Here below is the latest photos of Prof. Birhanu Nega arrival at Eritrea. 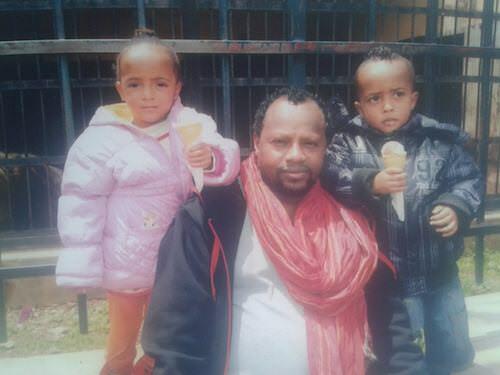 Ethiopia - Out of over Hundred thousands of political prisnors less than ten of them are released. 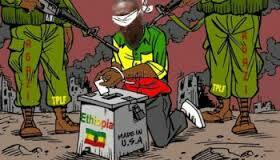 Doese it give sence to Ethiopians and International Community? ''በኢትዮጵያ በስድስት የፌድራል፣በአንድ መቶ ሃያ የክልል እና በአያሌ ድብቅ እስር ቤቶች ውስጥ ከመቶ ሺህ በላይ እስረኞች ይገኛሉ'' ዓለም አቀፍ የእስረኞች ጥናት ማዕከል።ከእነዚህ ውስጥ ከአስር ያነሱትን መፍታት ለኢትዮጵያ ሕዝብ ምን አይነት ስሜት ይሰጠዋል? 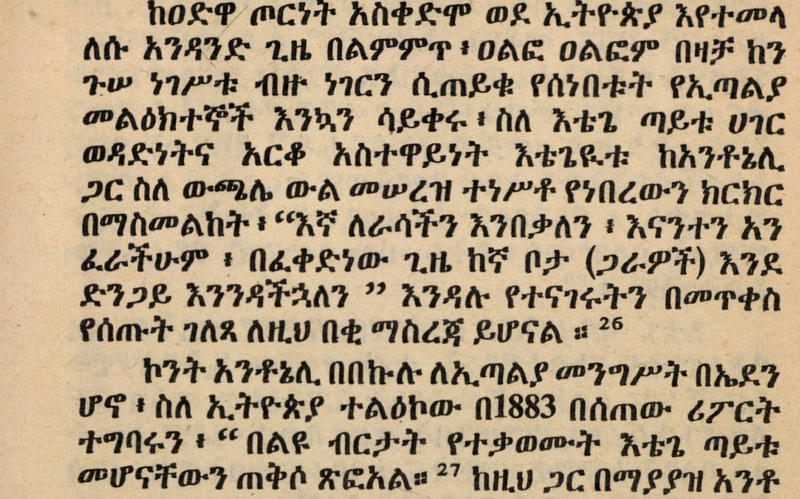 የእስረኞቹስ ጥያቄዎች ተመለሱ? 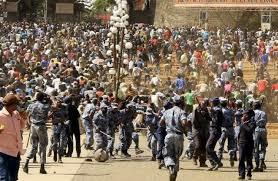 Two months back Ethiopian regime's police beat the young demonstrators against terrorist group IS. State spokes man Redwan Hussen on press conference confirming as US stands on the side of his dictator's rule. Another shame to US. 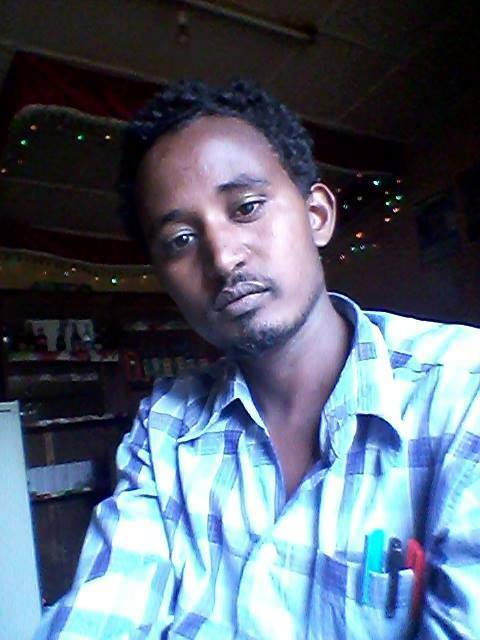 It is about few weeks since Lawyer Samuel, opposition Semayawi party candidate in the recent election, was killed.